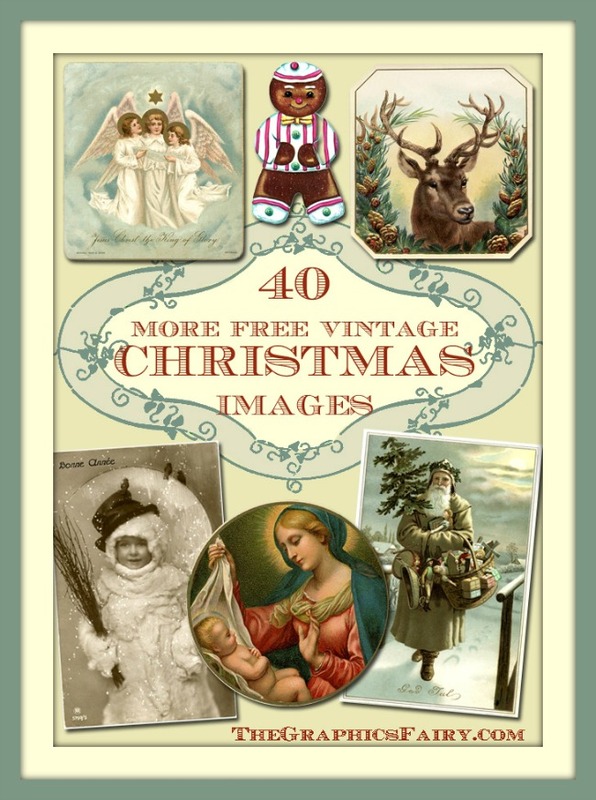 Today I’m sharing this Antique Christmas Tag Download! 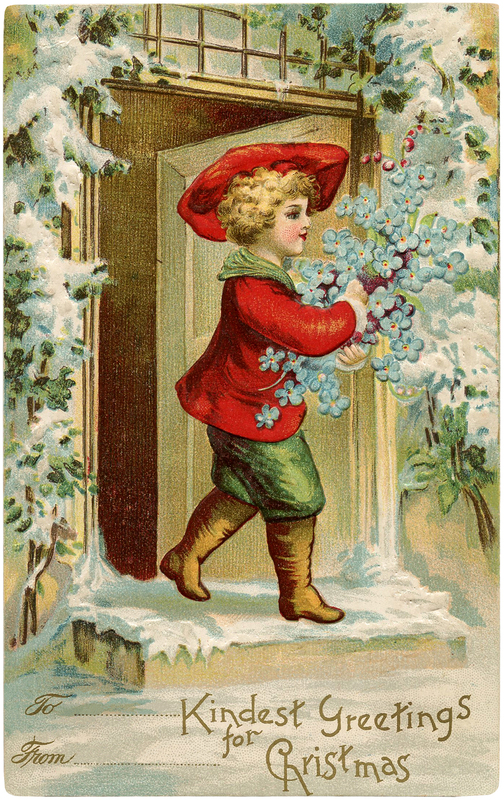 Shown above is a charming old Postcard featuring a young Boy dressed in Red and Green, he’s heading out into the snow with a bouquet of Forget-Me-Knots. 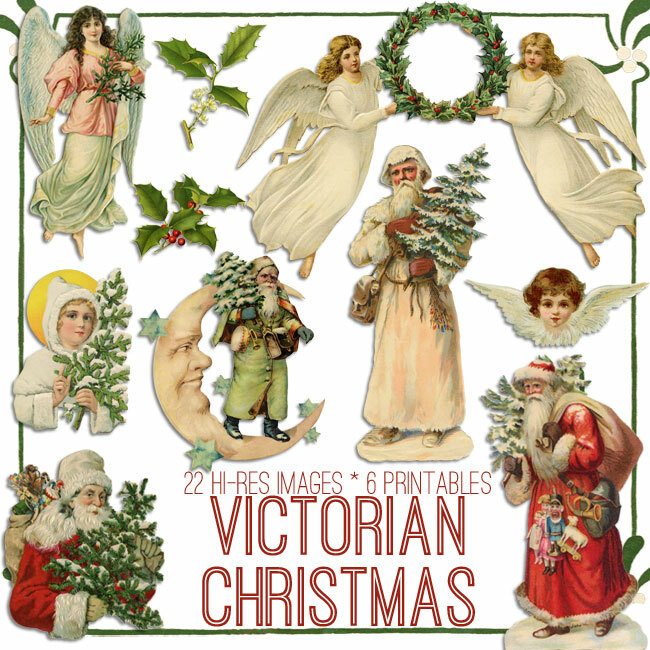 At the bottom of the card are the words to … and from… so that you can use it as a Christmas Tag! « Halloween Silhouette Image – Quirky!